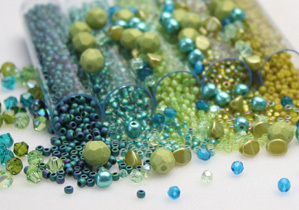 This cool new beaded bracelet design is now available on our tutorial page with step by step instructions for making your own trendy multi-strand bracelet. This cool design is perfect for fall and back to school. Dress up your campus duds with these sparking beauties and show off your crafty side by saying “Thanks, I made them” whenever you’re asked where you got them! 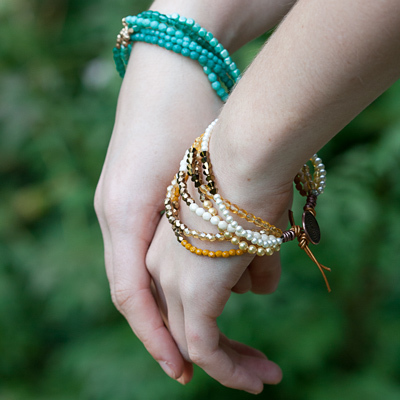 Making cool, crafty jewelry is one way to make tons of friends for life. Teach your new friends how to do it themselves too and you’ll have lots of fun at crafting nights and jewelry making parties. Express yourself and stand out! 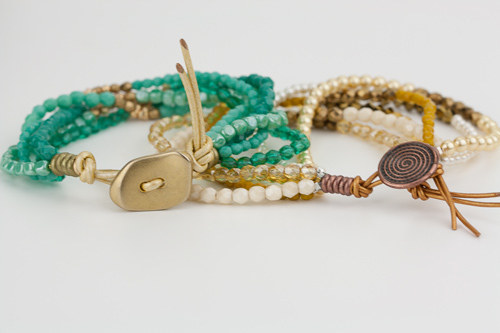 Make your own jewelry that you can be proud of. Check out all the cool projects available absolutely for free on our tutorial page and get inspired to create! 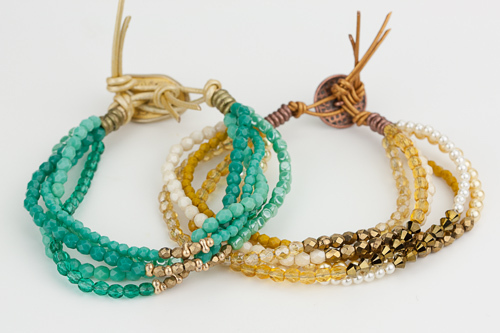 Instructions for these Beaded Multi-Strand Bracelets are available here.